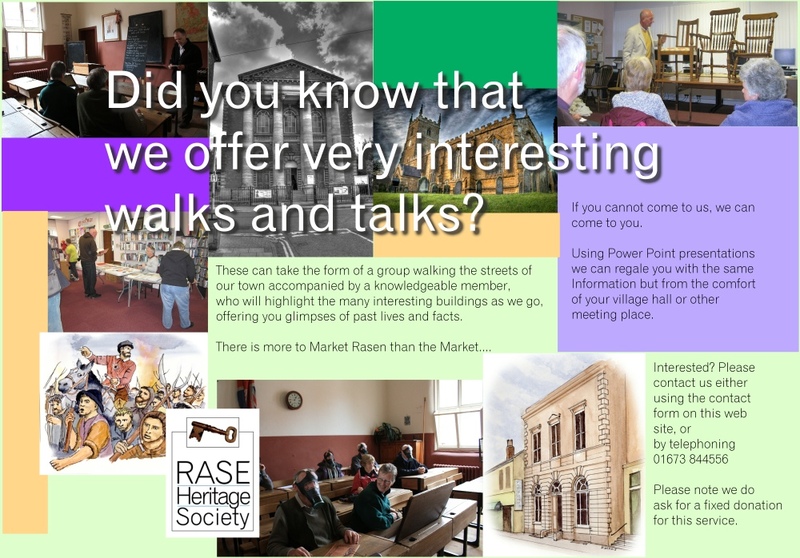 Everyone agreed that a corn exchange in Market Rasen was a good idea & there were only two locations in contention The Market Place & a site in Queen Street. 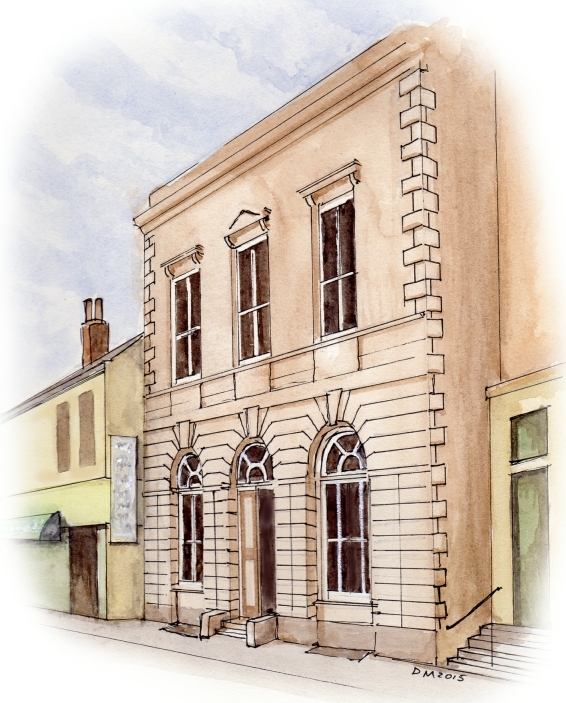 The Corn Exchange of Market Rasen Association erected The Market Place Corn Exchange using Messes Bellamy & Hardy as architects & Messes Chapman & Wallis of Market Rasen as builders. It opened in September 1854 with a grand ceremony (a full description of which is in the Lincolnshire Chronicle 15/9/1854) but soon had problems when its glass roof was damaged when the clock, which had been paid for by subscription, was erected. It soon became obvious that the Queen Street Exchange was the preferred location. By 4th December 1855 the directors of the Market Place corn exchange realised it was not making the money expected & an offer was made to The Market Rasen Corn Exchange Co. for the renting of their building in Queen Street with the view to settling the differences between the companies & insuring the use of one building as the corn exchange,” for such terms & conditions as may be agreed with a rental of 3% of the outlay”. 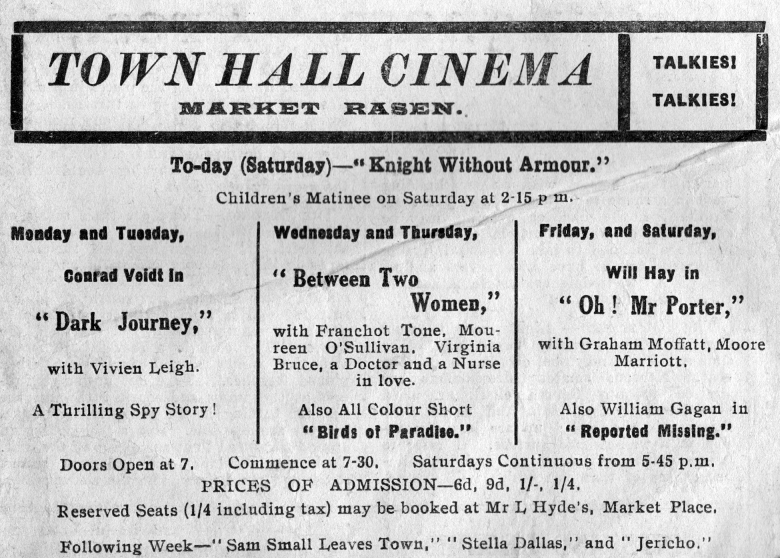 To which the Market Rasen Corn Exchange Co. replied No, but that they were willing to talk about taking the Hall of the Market Place Corn Exchange for a lease of years to be used for some other purpose. These discussions continued until at a meeting on 26th August 1856 when the directors of The Corn Exchange of Market Rasen Association recommended amalgamation with The Market Rasen Corn Exchange Co. with the outcome that the Market Place Corn Exchange would be used as a Market Hall (selling butte & eggs) & the building in Queen Street would continue being the Corn Exchange, the new company to be called the Corn Exchange & Market Hall Co. 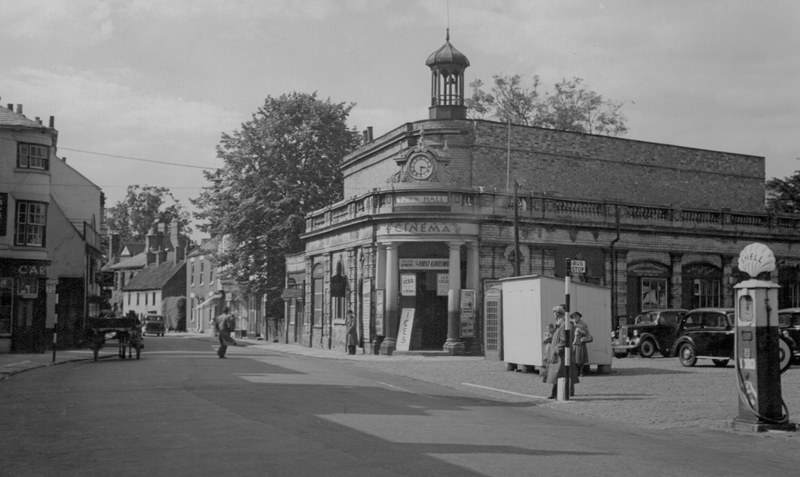 The Market Place building later became the Market Rasen Town Hall. In April 1914 it opened as the Picturedome of the earliest cinemas in which format the building is fondly remembered, closing in May 1959 before sadly being finally pulled down in 1960, to build the present building for the Co Op (which was when the land was finally sold by the Church). When this grand old building was pulled down the town also lost the bell that struck hourly which was part of the clock & was said to have a very sweet tone. The bell weighed 2 cwt & bore the date 1853 & the name of the London firm J. Warner & sons. At first it was hoped that a new site could be found for the bell but this has never happened. The Queen Street Exchange was designed using Mr H Goddard of Lincoln as architect & Messes Sanderson & Lewis of Rasen as builders, & opened on 1st July 1854.By 1859, after only 5 yrs, the roof was in danger of collapsing & had to be replaced at a cost of £126. This building was used for balls, concerts & meetings finally becoming offices. A well known local auctioneers & estate agents renovated it in 2008 keeping many original features including the badminton court makings in the main auction hall. This building is still to be seen on Queen Street & is Grade 2 listed.